Today we have a great guest article that was written by Dank Spangle and first featured on his blog. If you like Canon SLRs then you are going to love this. A side by side of some of the greats. With a comparable lens and the same film these cameras produce pictures of *exactly* the same quality. The only difference between them is is how easy they make it to get the exposure you want. However complex the metering, however many autofocus points, all these cameras take photos focused on one point at one aperture and one shutter speed. If you’ve got FD lenses buy an FTb. They cost nothing and are a wonder of super-tough manual joy. There’s no need for multiple AF points (focus it on whatever you want), program AE and evaluative metering (choose your aperture and shutter speed with the help of the TTL meter). Brilliant. If you’ve got FD lenses and many quids to spare get a New F1 – probably my favourite camera here. If you’ve got EF lenses buy an EOS 600 (630 in the US). They cost nothing and are a wonder of ’80s automated joy. The ‘best’ camera here (most features, most options for putting you in control, the most advanced metering) is the EOS 1n. Personally, I prefer using the older cameras. Released alongside the F1, this was Canon’s first FD mount SLR. It is pretty basic, but with TTL metering it has everything you need and nothing you don’t. My dad gave me this camera circa 1975 – it was my first SLR so I’ve got a real soft spot for it. It’s the essence of camera. No need for multiple AF focus points, no need for exposure compensation, no need for Av, Tv, AE or any other modes. Focus anywhere you fancy and set the aperture and speed with the help of the meter. Super-simple match needle metering. Just match aperture and the meter needles. Very, very robust. Feels like it is carved out of a solid lump of metal. These cameras are really, really cheap. They are a complete bargain. As cameras go, you can’t get better value for money than this. You can’t see explicitly what aperture you are at in the finder – but you can guess pretty much from where the aperture needle is. It’s a bit of a fiddle setting the shutter speed with the camera to your eye. You can do it with one finger, but it’s easier to hold the dial between thumb and forefinger. However you can only do that if you move the film advance lever out of the way. The F1n is very, very similar to the FTb, the only major differences being the swappable finder and a higher max shutter speed. Oh, and it is black, which is nice. The earlier F1, which is very much the same, was introduced in 1971 alongside the FTb. Camera geeks can tell the F1 and the F1n apart because the F1n has a film tab holder on the back cover. Not to be confused with the New F1 (1981) which is a different beast inside. Camera geeks can tell the New F1 and the old ones apart because the new ones have a hot shoe on the finder and an ‘action grip’ on the side. The main advantage of the New F1 is its aperture priority AE finder, which unlike the old F1’s AE solution is normal size and doesn’t have an external battery pack. Like the FTb the match needle, TTL metering makes exposure modes and exposure compensation redundant. You’ve got complete control in the simplest possible way. Unlike the FTb you can swap out the finder. As well as the standard prism there’s a waist-level finder, a bulky-complex servo finder (with massive external battery pack) for speed priority and an interesting-looking speed finder. You can also swap focusing screens fairly easily. Canon’s first SLR with a computer inside it delivering all the program modes – full auto, aperture priority, shutter priority and manual. Gone are needles and perspex discs in the viewfinder – this has got cutting-edge LEDs. Shame you have to press and hold a button to see them, but you do get both shutter speed and aperture. The camera feels dense and is a festival of buttons and dials. There are even two buttons (as well as the shutter button itself) to deal with exposure preview – one is a preview, the other a preview with exposure lock. You can’t help thinking there must be a less buttony way. The main control is an interesting dial that sets either shutter speed (including a ‘P’ setting for full auto) or aperture depending on mode. All that aside, it’s a great camera that’s lovely to use. Not as fluid as later Canons – I find myself taking it away from my eye to change settings rather than holding buttons down – but it is solid, compact, and has everything you need. Manual mode shows you what your exposure should be, not what it is. Not very useful. When updating their F series Canon did a brave thing. Rather than beef up the ground breaking A1, they built a more up-to-date F1. They ignored the A1’s buttons and LEDs and kept the F1’s dials and needles. And they ignored the A1’s program AE. They also kept the original F1’s excellent match needle manual mode – the A1’s manual mode just doesn’t cut it. And they gave the camera a new, matt finish. Somehow, despite the dials and needles, it feels modern. Setting the speed dial to ‘A’ gives you a shutter speed scale with a needle to show what speed the camera has picked. You can see your aperture in the finder. Aperture is set by the aperture ring on the lens – better than having to use the A1’s fiddly wheel. Move the speed dial off ‘A’ and you get an aperture scale, an aperture needle, a meter needle and you can see the shutter speed. Full manual joy. In the early ’80s Canon thought that some people just wanted a nice simple camera that took good pictures. Canon’s program modes were good, so why burden a camera with manual stuff? Hence the T50. It’s got no controls at all. Just a program mode, a self timer and a battery check. The viewfinder has a ‘P’ in it that flashes if there’s not enough light. You set the film speed manually, so you could use that to shift exposure, but that would be missing the point. What we have here is a point, focus and shoot camera that takes canon lenses and has a WYSIWYG viewfinder. And I really like it. I like its honesty, its design, the materials… and I like using it. All you have to think about is aiming and focusing. You can’t fiddle about even if you want to. An early move away from dials to buttons and LCDs. You get a couple of metering modes, program AE and a built-in motor drive. Much as I love this particular camera (my dad bought it new when it first came out – he loved a camera, and he loved a gadget; this ticked both boxes) it isn’t really much good. As a manual focus point and shoot it is fine. The ability to shift the program towards either high shutter speed or widest aperture is nice. For anything else, the controls aren’t right. The T50 is a much more honest camera. There are three program modes – Program AE, Tele AE (fastest shutter speed) and Wide AE (smallest aperture). So you can get some point and shoot (with manual focus) action. Built in motor wind is nice. That said, I’m not interested in continuous shooting with film, so it’s no real advantage. I like the sound it makes though. Generally difficult to use. While the LCD and buttons are steps in the right direction, they aren’t right. What you really miss is the control wheel by the shutter button. But that was yet to properly evolve after its early outing on the A1. The controls get in the way of your pictures. This is more like it. The most sophisticated of the FD mount Canons. It’s got an LCD and buttons (like the T70) but now it’s got a control wheel by the shutter button, which makes all the difference. It’s a massive evolutionary leap forwards that’s still with us today. If you’ve got FD lenses and you want automation and control this is the camera. That said, much as I like this camera, you still have to focus manually. And if you have to be manual, go for a New F1 or an FTb – they put you in proper control. Automation always get in the way a bit. If you want automated, go the whole hog and get autofocus as well. It’s got center weighted average, partial and spot metering. In spot metering mode you can take up to eight readings that are averaged. The finder has an exposure scale on the right that shows current exposure and locked exposure. It also shows multiple spot metered values – a bit like on my 1Ds III. If you believe the interwebs it’s got a reputation for being tough. 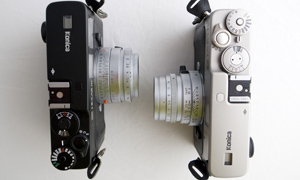 I’ve got two of these; one has a wonky display in the viewfinder, the other is plain dead. Like any other old camera, it isn’t invincible. The next big evolutionary leap, autofocus. With the EOS cameras Canon abandoned the manual focus FD mount and came up with the EF mount and a whole new series of autofocus lenses. 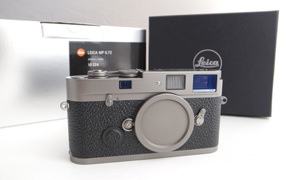 As a fully automated film SLR, I really like this camera. Stick it in the basic program mode, shift the exposure using the control wheel if you like, shoot. It is really nice to use. Finder info stays there for a while without you having to keep a button pressed. At last. You can get them for nearly nothing. 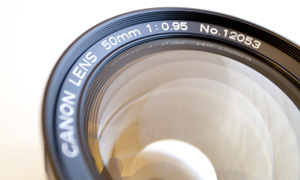 Really, if you have some EF lenses, get one of these to play with. Like the FTb, it’s an absolute steal. There are some program mode variations, and you can use it in manual, but it’s a bit of a faff. Best used in plain program mode. I always have to search for the on/off dial. It’s in the wrong place. If you are used to modern autofocus cameras, the autofocus on this will feel slow and a bit hit and miss. Especially in portrait orientation. You’ll find yourself looking for contrasty edges for it to lock onto. Top of the line film SLR joy. Solid, fast, quiet, all the controls you need and lots you don’t. Canon had got the button layout right at this point. If you compare the top panel to this and the 1-series digitals you’ll see not a lot has changed. Its got all the metering modes; 16 zone evaluative, centre-weighted average, 9% partial and a couple of spot variations (3.5 and 2.3%). Gosh. It’s got everything except the multi spot meter feature of the T90 and 1-series digitals. The feature I appreciate most on this camera, and that’s missing on the 600, is a custom option for back button focus. Set focus with one button and exposure with the shutter button. A super-easy way to separate focus and exposure from the composition. I use the same config a lot on my 1DS III. There’s also a nice feature in the viewfinder, an exposure level display that shows the actual exposure value relative to the metered value. At last fully manual photography is possible with the camera at your eye. It’s got the dial by the shutter button, and a second dial on the back, under your thumb as you hold the camera. You can control the shutter with one, and aperture with the other. And see in the finder your exposure compared with the metered exposure. Solid and lovely to use. Thanks for sharing this with us, Dank. That is very useful information. Great read, thanks for all the effort that you put into this. Enjoyed you article. I would have liked to see the 1VHS mentioned. I have two, and love them. for those times, I like to shoot film..
It’s a horrifying journey through time, as the glory of mechanical genius rapidly gave way to unwanted plastic + electronic gizmo’s. What was so wrong with the world that brought such revolting change? I lived through it all, and didn’t notice at the time. How handsome the glossy black paint models were; a treat to see those again. Great article of the different features of the cameras. I still use my Canon A-1 that I bought new in 1980; I added the motor drive. I bought a used New F-1 with the AE Finder FN and AE Motor Drive FN with three focusing screens. I was also given a T-50. I would like to hear about Pentax ESII and especially Pentax LX. The only cameras offering both A mode and in case of failed batteries 1/1000-1/60sec mechanical shutter. Another cool model is the EOS-1N RS with a built in motor drive and Pellicle mirror allowing continious 10fps. It has the same shape and body as the 1D series. As far as 35mm cameras go, that thing is a beast. Great write-up, Dank! Good to see my former T50 on JCH, haha. You make me regret to have sold my AE-1, T90 and T70… I only kept the A-1, but as I am a user and not a collector I had to pare down my camera stable. Nice article, enjoyed reading that. Still have my AE1 program my dad gave me which was my first SLR maybe 30 years ago. The Canon 600 series suffer from sticky shutters from a rotting foam bumper under the shutter. It’s a known issue. It’s usually caused by storing the camera in a hot climate. I’ve also seen it on a Rebel G and Elan II. I find autofocus the be the true choice in order to choose aperture and shutter speed. Otherwise we are talking about zone focusing, you choose the aperture in order to get the focus. Go for a range finder and you will be better-off. I see the zoom lenses as the true SLR. The feet zoom works in a very limited way only in an open, short and plain space. 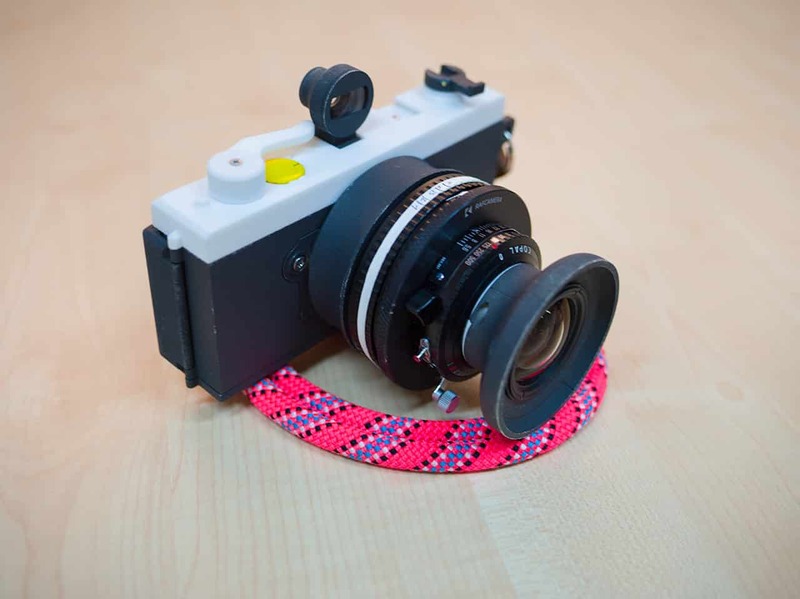 With a fixed lens forget about SLR and go to the simplest rangefinder. I find easer to tweak a measured evaluation against to analyse and set the exposure manually, especially in the less then perfect lighting. Ansel Adams used various exponometers. For less then perfect lighting spot meter rules. is a notch above the EOS 620. EOS 600 Vertical-travel, focal-plane electronic shutter. 30 sec. – 1/2000 sec., B. X-sync at 1/125 sec. EOS 620 Vertical-travel, focal-plane electronic shutter. 30 sec. – 1/4000 sec., B. X-sync at 1/250 sec. It seems to me to be not true. EOS 600 looks the same as EOS 620. 10fps continuous? Sounds nice, Same as the legendary Canon RC 760 CCD camera. I would really like to see an article about. That camera is absolutely the god father of mirrorless. 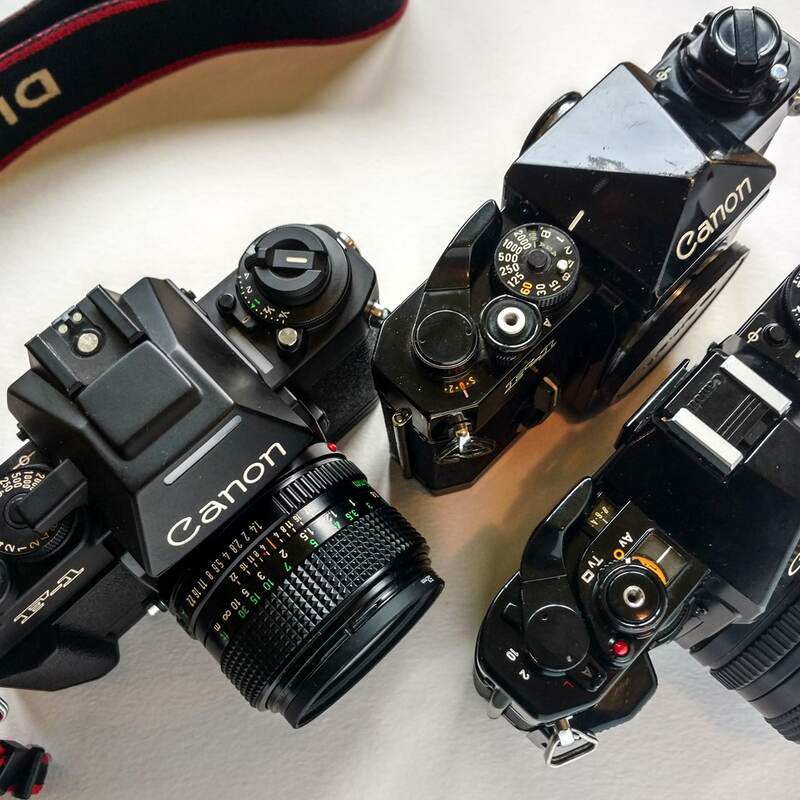 I am missing the Canon AE-1 (P) but still great article though! Great article. But seems images are broken.